It’s a fun festive tradition where you invite one of Santa’s Elves to stay in your home in the run-up to Christmas. Elves are supposed to visit human families to watch the kids and report to Santa on whether they have been good or not. Far from being stern disciplinarians these playful creatures help build the festive excitement through surprises, jokes and activities and can often be rather mischievous themselves. 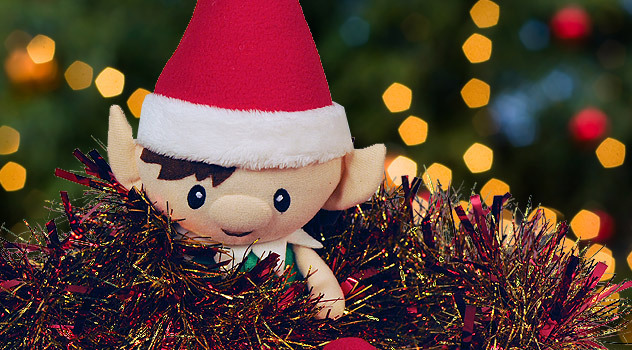 Find out more about the Christmas Elf Tradition. Who do Santa’s Elves visit? Like Santa, Christmas Elves only visit children who really believe in the magic. They have been known to start visiting children as young as 18 months, or even younger, especially if they have older siblings. 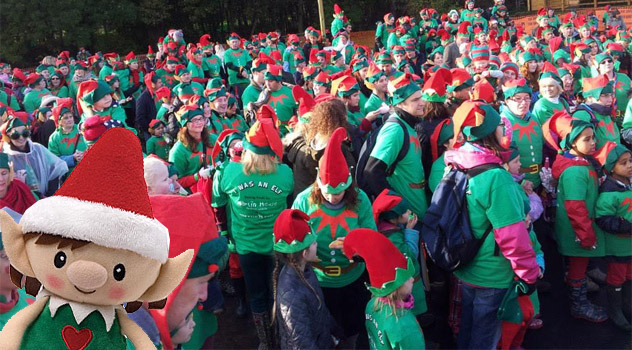 As for the upper age limit – well, as long as the children believe, Christmas Elves will continue to visit! 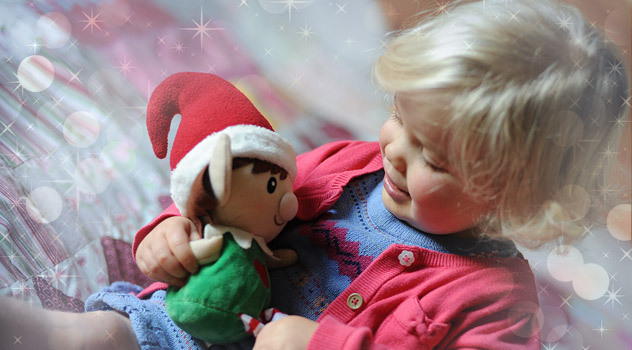 Older siblings often enjoy helping younger brothers and sisters to look after their elf. 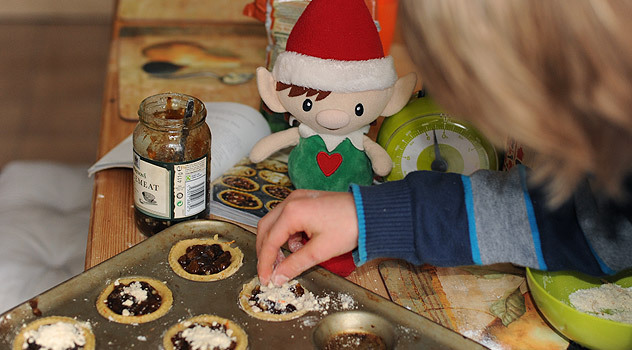 If your elf lacks imagination, there’s a chance that older children will have plenty to spare and will whisper ideas for mischief and adventure in your Christmas elf’s ears! When does my Christmas Elf arrive? Christmas Elves can arrive anytime, but typically he or she will appear around the first of December and stay until Christmas Eve. In the United States, they usually arrive after Thanksgiving and in some Scandinavian countries they only stay for 12 days before Christmas. But remember, just like people, each elf is unique, so don’t worry if yours is late, he or she will come back just as soon as he or she is able! How do I ask Santa to send one of his Elves? 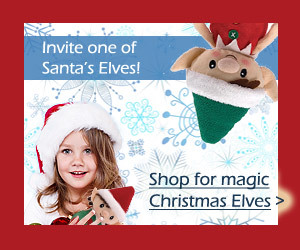 The Elves are very busy, so ask Santa to send a Christmas Elf early. This will leave plenty of time for the Elves to finish their work at the North Pole! 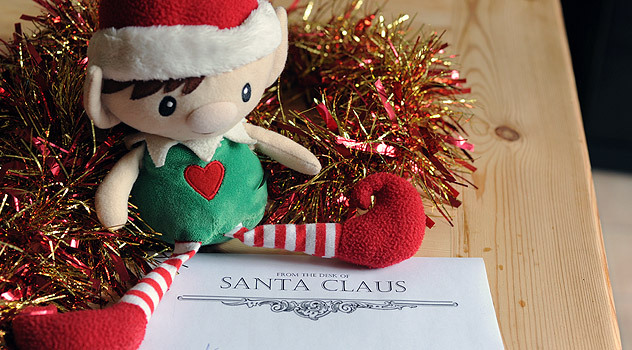 Simply write a letter to Santa asking him to send a Christmas Elf to visit. With your parents’ permission, your elf will arrive in December to stay with you in the run up to Christmas and will come back every year. My Christmas Elf has arrived – do I need to do anything to start the magic? Elves are mysterious creatures and in most cases the magic will start on its own. 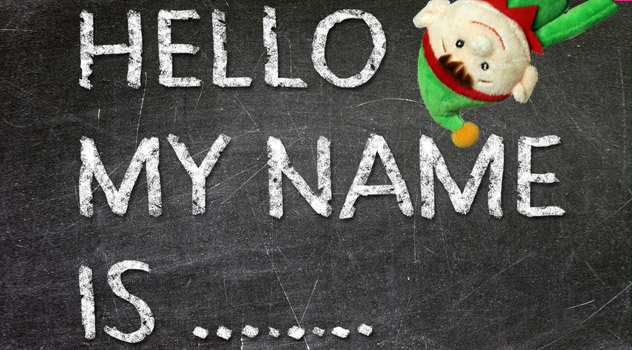 Giving your elf a name (if he or she hasn’t already got one) or sprinkling magic snow flakes or glitter is said to help bring your elf alive too. Can I touch my Elf? All elves are different. Some Christmas Elves may lose their magic if they are touched, while others thrive on cuddles. Follow your instinct to work out it your elf likes hugs or not. 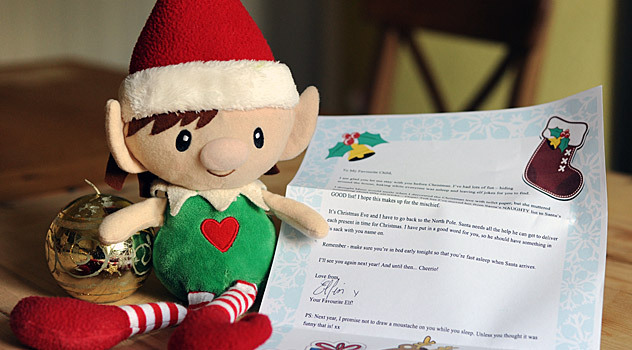 Some elves arrive with with a book or an elf introduction letter that will explain to you how to look after them. If you have touched your elf and were not meant to, don’t worry. Simply sprinkle a little cinnamon beside him or her before you go to bed. Cinnamon is like vitamins for elves, and it will help your elf recover his magic powers. What if my Elf hasn’t moved? Don’t worry. Sometimes your elf might stay in the same spot for a few days. 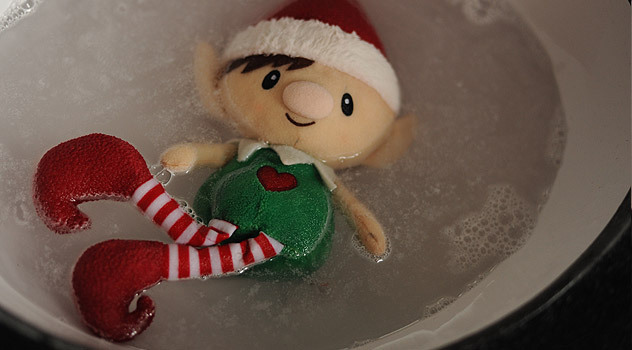 There are a host of reasons why your elf might not move. He could have a favourite place in the house or might be tired, poorly or just too hot. 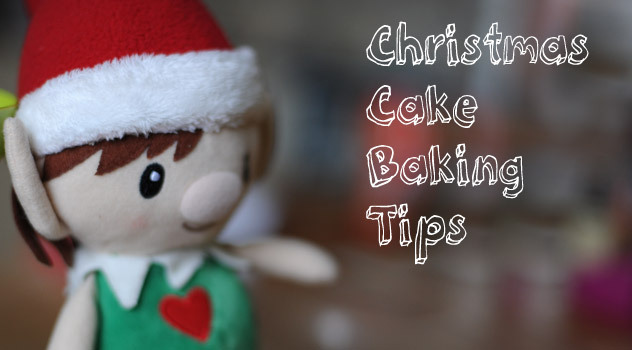 Find out why your elf might stay on his shelf and spark his imagination with our fun Christmas elf ideas. Like people, all elves have different temperaments and some like to stay quietly in one place while others are hugely creative and will think up mischief and adventure every night! Why doesn’t my Elf stay with me all year? There are so many things that need to be done to help Santa at the North Pole. On Christmas Eve night most of the Elves will return to the North Pole to help Santa deliver presents to children around the world. After that they will take a much needed rest before starting on the long preparations for the following Christmas. Although it is sad to see the Elf go, this special friend will magically return each December to celebrate Christmas again. A whole year is a long time and some elves will occasionally visit for birthdays and other special occasions – as long as the parents allow for his stay of course! 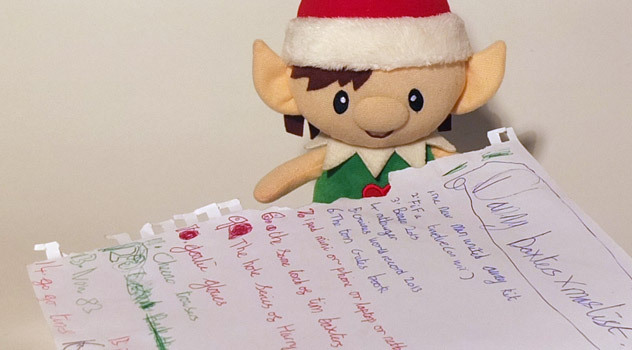 What does my Elf tell Santa? Your Christmas reports when you’ve been good. 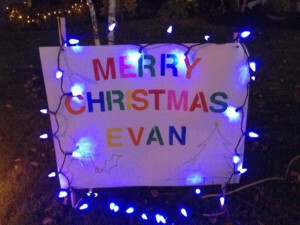 He will also personally delivery your letter to Santa and help Santa choose your gifts. Do you try hard to do you best at school? Are you kind and helpful? Your Elf will adore all this and report straight back to Santa. 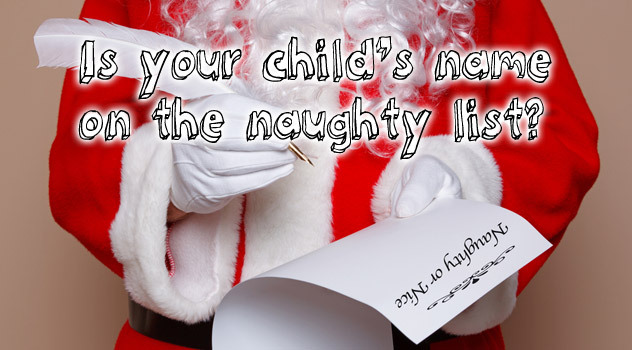 If you have a special message for Santa, you can whisper that to your elf, too. Why do I see Christmas Elves in shops? I thought they came from Santa. All Christmas Elves come from the North Pole. 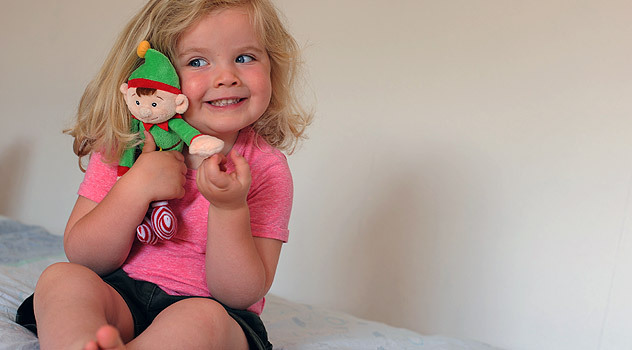 Some arrive directly from the North Pole to your house, but Santa has also set up adoption centres in shops (online and on the high street) so each child that wants to host an elf can easily get one. Much like you would go to the pet shop to adopt a rabbit or other animal, you can adopt a Christmas Elf too. The important thing to remember is that no matter how an elf gets to his or her family, they are all on the same special mission: to bring fun and festive cheer in the run-up to Christmas. 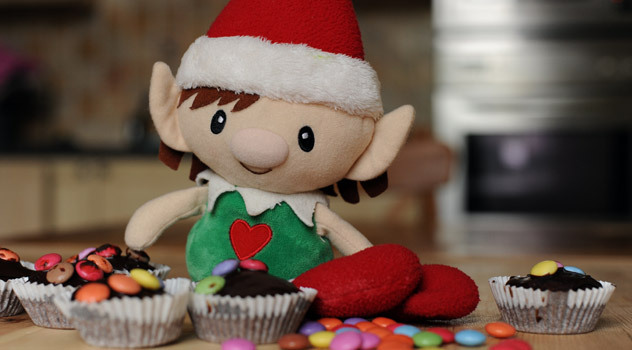 Find out where to buy a Christmas elf online. Hi Tracy, that is a rather cheeky question, isn’t it? 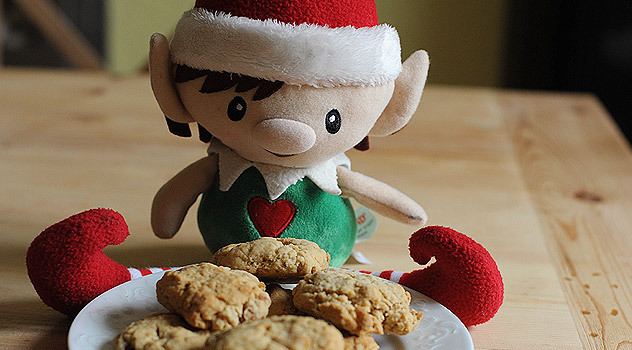 Delivering all the gifts (and making them for that matter) is hard work and we elves burn lots of calories. So no matter how many mince pies, cookies and chocolates we eat, it won’t add a millimetre on our waist line. Unlike so many humans we don’t look pudgy at the start of the new year! 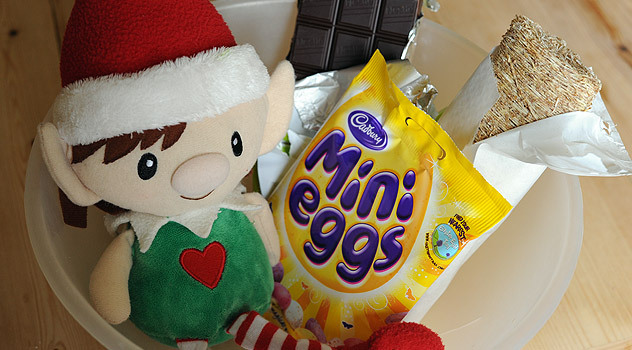 I will let you in onto a big secret – we Christmas elves only eat sweets, puddings, chocolates and sugary treats. Ice cream and candy floss are my favourites. You’ll never see a single vegetable pass our mouth. But we only indulge in those treats when we visit the human world. In Santa’s Magic village you can go for weeks, or even months without any food. As you may have noticed, Santa Claus is not the slimmest of people (I hope he’ll forgive me saying that). It is because the sugar only diet only works on elves. 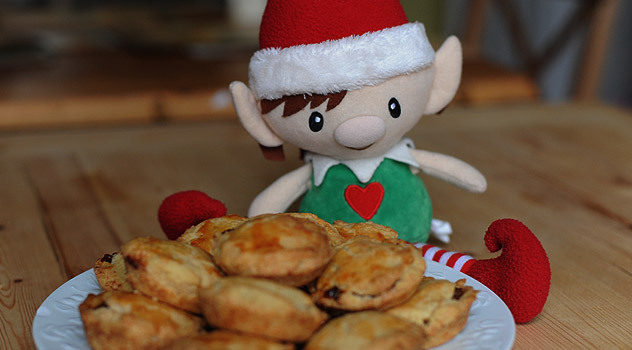 Santa, like humans should only eat mince pies in moderation. But it would be rude to refuse the food children leave out for us, wouldn’t it? Me and my brother have an Elf named Fumble. He is a very silly elf. My family is packing to move out of our house for a few months so that we can add new parts to it. I was downstairs looking for a toy today, and to my surprise, THERE WAS FUMBLE! Why is he not at the North Pole? Did he just come for a visit? I am so scared that he is lost. What should we do? Thanks for your message. Elves have so much fun when they come to visit their families for Christmas, that they do like to pop back every now and then, so Fumble is probably just paying a visit. If you are sacred he might have lost his magic or be lost, just sit him somewhere warm and comfortable and sprinkle a bit of glitter on him. Glitter is like magic medicine for elves, so it will help him find his way back to the north pole if he is lost. Wow interesting new christmas tradition!! Sounds pretty neat!! Will you please answer one question for me Mr elfin? Exactly what all can the magic elves do? I don’t have a elf myself but I read some pretty interesting stories about their wacky adventures! I was just curious about the new tradition that’s why I asked that question earlier! Hello Lexi, Thanks for your question. We elves come to human homes in December and stay until Christmas. We mostly get into action at night when the family is asleep. We play games of hide and seek (the children need to find us when they get up in the morning), and play little tricks. Last year I decorated the Christmas tree with toilet roll and drew moustaches on all the family while they slept… It all depends on your elf’s character and how much imagination he or she has! I don’t, sorry, but I am sure she is lovely! Like humans elves do sometimes move slow and sometimes fast. But when they move fast they move much faster than humans – that’s how they get get to the North Pole and back in a few hours! My daughter is 10 and keeps asking her elf when the elf birthday is. Do elves celebrate their birthdays? What toys do elves play with. 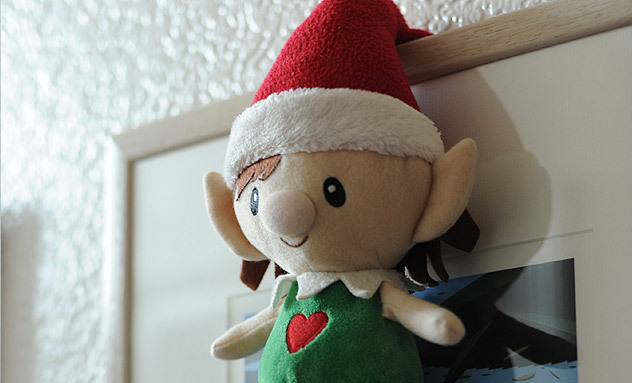 Different elves like playing with different things – They usually like turning ordinary objects into toy! If I adopt an elf a few weeks after Christmas will it still move or will it go back to the North Pole? Hi will my elf Eddie come back if I am up late? I am not sure he will. If I was you I would try and take myself to bed early just in case! Hi Mr elf ! I have an elf named chippy and I am very concerned of him not returning yet . me and my brother are worried because he usually comes back right after thanks giving . if you could somehow send him or tell me if he will be late this year I’d really appreciate it ! (And I’d think it would be fun if he had a partner in mischief if u could tell Santa 😉 thank you ! 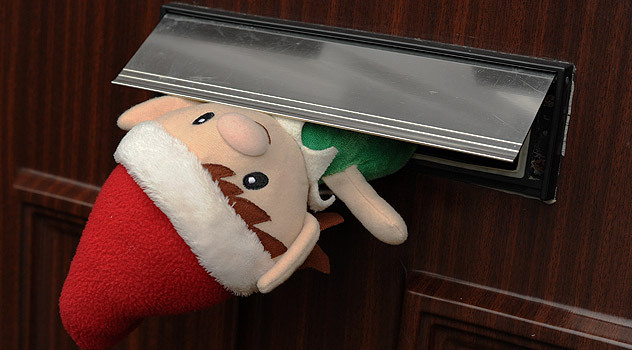 Hello Maria, Elves can be a bit forgetful and sometimes get lost on the way! I am sure yours will turn up in time! Do elves have siblings and do elves go to elf school? It has been more than a week and we are really worried . if we haven’t put decorations up yet does that depend on what time he comes ? Does he come after we put our Christmas tree ? Its just that he always comes right after thanksgiving and we are putting our decorations up late so I was wondering if that had something to do with it . thanks elfin ! I am sure your elf will find its way to you eventually. You know what they are like to get into mischief! Ah Ah! No elves are not children, although they sometimes behave like kids! I have 3 Kids at home. How Many elfs i Need? One por kid or one for all? It could be either way. One elf for the household might be enough mischief to manage though! My son asked why does the elf have a tag that says “Made In China” if he’s from the north pole? Excellent question from your son. With so many children to visit and helping Santa organize Christmas, we need all the assistance we can get. The people in China have great factories and are happy to help .